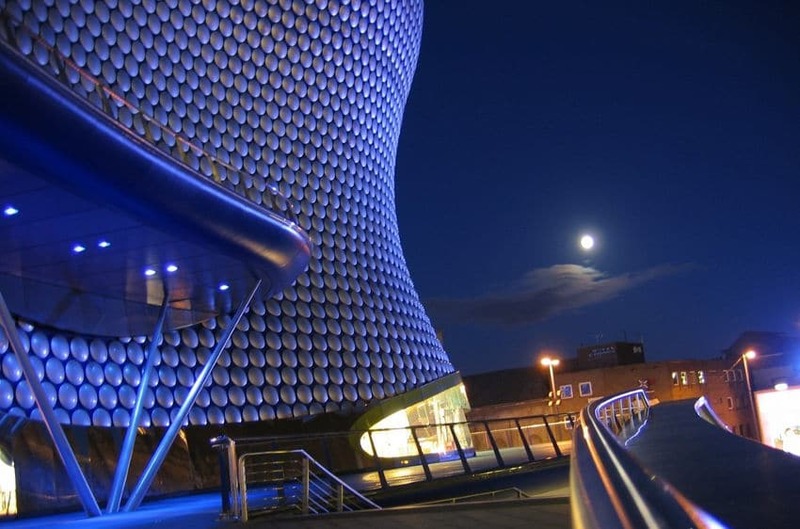 As can be expected from anywhere with such a long and colourful history as Birmingham, the city has no shortage of ghost stories and supposedly haunted places. 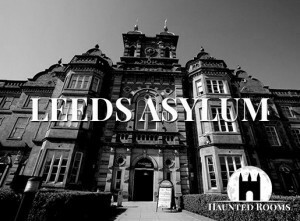 These places bring a good number of paranormal enthusiasts to Birmingham and the surrounding areas every year, but obviously those people are the travelling minority. Of the many thousands of tourists who visit Birmingham annually, few are aware of the city’s paranormal side. It’s this side that we’re going to be talking about here in our article on Birmingham’s haunted places. 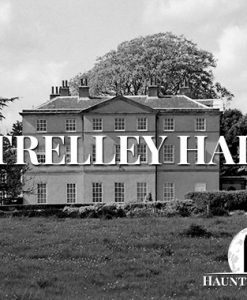 Here are five of the most haunted places in Birmingham. During construction of New Street Station in 1848, a Jewish cemetery was dug up in order to make room for the project. For that reason, many paranormal enthusiasts believe the station was doomed from the get-go, and a number of tragic events which have occurred at the site would seem to suggest that New Street Station is, in fact, cursed. A 1921 collision of two trains at the station left over two dozen people injured and claimed the lives of three passengers. Along with this, the station’s platform 4 has seen four suicides, the most well documented of which is that of a former engine driver by the name of Walter Hartles. At age of 68, Hartles, who was experiencing insurmountable marital difficulties, took his own life inside a waiting room by shooting himself in the chest. Since the day of his death, Walter Hartles has been spotted by countless travellers passing through New Street Station in the evening. He is said to sit alone, still clad in uniform, reliving the moments prior to his suicide. Passengers have also encountered the spirit of a gentleman named Claude, who committed suicide by poisoning himself during the Victorian period. Like Walter, Claude appears in the clothes he was wearing at the time of his death, and so sticks out like a sore thumb whenever he appears. 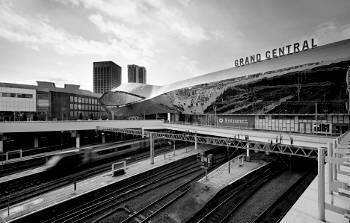 Several years ago, a séance was planned in order to get in touch with the spirits of New Street Station, but was ultimately cancelled due to safety concerns. However, if you were to visit the station after dark, it is unlikely that you would need a ouija board in order to encounter a spirit. 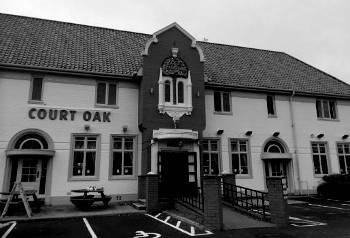 Located in Harborne, Birmingham, and built on a 17th Century hanging ground, the Court Oak Pub has long been said to be home to a rather unique ghost. Like many ghosts found in buildings which have been built on the ruins of other structures, the phantom of Court Oak Pub is prone to smashing and throwing things around and generally creating a bit of a mess. Unlike other ghosts, however, the cause of this spirit’s anger is not the fact that the previous site was bulldozed to make room for something else. No, instead the ghost which haunts the the pub is said to be angered by a poor selection of wine. You read that right, the ghost does not like low quality alcohol. Corky, who was named by the pub’s patrons, has been making his presence known at the location for decades now, and staff have long reported feeling his presence behind the bar. Some members of the bar staff have reported actually seeing Corky, and describe him as a withered old man of about 60. The manager of the pub has claimed that any time cheap bottles of wine have been stored in the cellar, they have been smashed by Corky, who is thought to be a bit of a wine snob. Paranormal activity here is said to pick up around Halloween, so it is possible the tale of the phantom wine enthusiast is nothing more than a marketing ploy. However, many who have worked at the Court Oak Pub will tell you that Corky is very much real. Is it really any surprise that Warstone Lane Cemetery is said to be haunted? Probably not. Graveyards usually contain hundreds, if not thousands, of dead bodies; they’re supposed to be haunted. 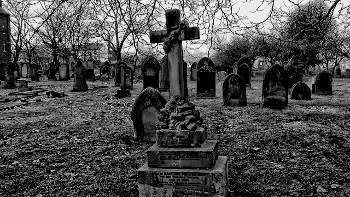 While there are indeed many cemeteries around the United Kingdom and the rest of the world which are reported to be home to various different spirits, few have the same level of paranormal activity as Warstone Lane Cemetery. A cemetery unlike any other, Warstone Lane Cemetery is located in Birmingham’s Jewellery Quarter and was constructed in 1848. Today, it is a Grade II on the Register of Parks and Gardens of Special Historic Interest. Though the graveyard is no longer open to new burials, tourists frequently visit Warstone Lane Cemetery, as does the spirit of a young woman. Though it is unknown who she is, many who have passed by the graveyard late at night have reported seeing her ghostly image sitting on top of a tombstone towards the end of the cemetery. Perhaps her identity could be discovered by venturing into the graveyard and reading the name on the tombstone upon which she sits, but that’s usually the last thing on anybody’s mind when they encounter the spirit. Another frequently spotted ghost of Warstone Lane Cemetery has been dubbed “The White Lady” (how original), and she has been seen aimlessly wandering the graveyard, perhaps struggling to find her way into the next world. The White Lady has also been seen in the area immediately outside Warstone Lane Cemetery, and some motorists have even claimed to have brought their cars to a screeching halt after seeing the woman standing in the middle of the road, only to watch her disappear before their very eyes. 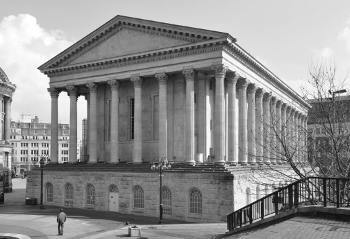 Built in 1833, Birmingham Town Hall is one of the oldest buildings in Birmingham, and has been at the centre of the community for almost two centuries. Since opening its doors almost 200 years ago, Birmingham Town Hall has welcomed theatre groups, public speakers, and musicians from all over the world. After falling into a state of disrepair towards the end of the last millennium, the building was closed in 1996 for refurbishment. Twelve years and £35 million later, Birmingham Town Hall was officially reopened by the Prince of Wales and the Duchess of Cornwall. Birmingham Town Hall is today more popular than ever with residents and tourists, but its many supposed ghosts have turned a number of people off. A worrying amount of accidents occurred during the construction of the town hall in the 1800s, and one such accident saw two workmen crushed by a pillar which became loose during installation. It is said that the deceased workmen can still be seen in The Great Hall – the room in which the accident took place – attempting to finish the job. The ghost of an old man has been seen in the theatre by a number of startled theatregoers and employees over the years. Those who have encountered the fellow say he keeps himself to himself and sits at the very back of the theatre, quietly huffing away on a pipe until he is approached. Once somebody endeavours to talk to him, he vanishes into thin air, leaving not even the smoke from his pipe hanging in the air. Birmingham Town Hall is also believed to be haunted by the ghost of Charles Dickins; yes, that Charles Dickins. Dickins, perhaps the greatest author of the 19th Century, gave his first reading of A Christmas Carol in Birmingham Town Hall on Boxing Day of 1853, introducing the people of the city to his most enduring piece of work. Dickins’ ghost has been seen strolling through the various corridors of the building, minding his own business, much like the old man in the theatre. Birmingham Town Hall certainly has some heavy paranormal activity, but those visiting the building can take comfort in the fact that none of the spirits seem to be menacing. For the most part, they like to be left alone to take in the sights and sounds of the theatre, much like the tourists who flock to the hall on a daily basis. If you have researched history of ghosts before, you are no doubt familiar with the old story of the wealthy, possessive father refusing to allow his daughter to marry the commoner with whom she has fallen in love. Incensed by his daughter’s disrespect, the father locks her up until she agrees to marry the man she has chosen for her, or dies in captivity. It is a centuries old story and is one told in many haunted castles and houses around the United Kingdom. One such house is Aston Hall. 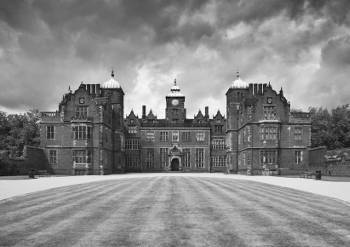 Aston Hall was built in the 17th Century and was the home of Thomas Holte and his family. A rich man, Holte was obsessed with his own status and ruled over his family home as a dictator rules over a nation. When he learned of his daughter’s plans to elope with a lover of whom he did not approve, he locked her in her bedroom for sixteen years. Holte’s daughter eventually lost her mind and died without ever being freed. 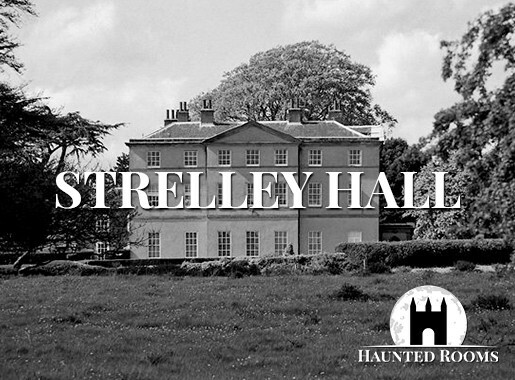 Visitor’s to Aston Hall have reported encounters with a white lady, who is believed by many to be the ghost of Holte’s abused daughter. She has been seen gliding along the top floors of the mansion, where she was imprisoned during the final years of her life. 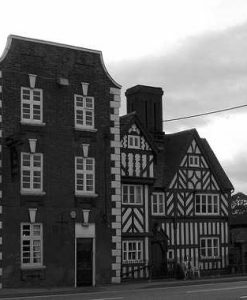 The building is also home to The Green Lady, who is believed to have been Thomas Holte’s housekeeper. The Green Lady doesn’t do a whole lot of housekeeping in the afterlife, but she is frequently approached by guests who mistake her for a member of staff. She is most commonly spotted in the Great Hall, wearing a high collared green dress.